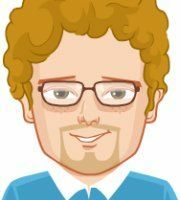 Our ABAP trainer is having 6 years of experience in real time projects with multinational companies. Her expertise is in all RICEF objects like ALV reports, BDC, Enhancements, Smartforms etc. She is also having in depth knowledge of ALE IDOCs. She is proficient in guiding the students by giving real time examples. I belong to the electronics field and don't know that much knowledge in a programming language, after came here I just got knowledge in python programming, and also easy to understand, training under Aspire Techsoft. It's worth of money. SAP enterprise products are used by over 12 million people in more than 120 countries. To coordinate with growing demand for skilled recourses in SAP consulting, SAP and its partners are always in need of well trained SAP professionals. SAP ABAP (Advanced Business Application Programming) is language developed by SAP in which applications of SAP R/3 are written. SAP will continue to run applications written in ABAP/4, the earlier ABAP versions as well as applications using ABAP objects. In our SAP ABAP course you will get knowledge about ABAP/4, ABAP dictionary, how to create packages, information about message classes, modularization techniques, batch data communication, smart forms, RFC and types of IDOCs. 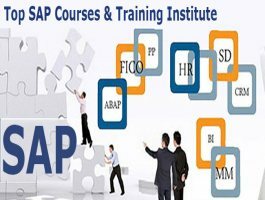 Trainers for SAP ABAP course at our institute are SAP certified experts and experienced working SAP consultants who are well versed in their respective functional or technical area. As our trainers have good exposure towards SAP implementation/ support projects, the best quality of training delivery is assured here. At Aspire you are sure to get clear practical and logical concepts formation about SAP ABAP. As we have excellent lab facilities and well equipped infrastructure you get hands on practical knowledge with 100 % placement assistance. All in all you get value for your money. I am suraj dubey lives in pimple saudagar. I have don my abap course from aspire. It is very good training institute and they provide very good teaching faculty. At Aspire Techsoft, I did SAP ABAP course. The staff of Aspire is very supportive. Its best experiance to me doing SAP ABAP in that institute. Our Training Faculty is very Hardworking......its my great choice for the training. This is a good institute for Advance ABAP training .teacher were also good & well experienced. At Aspire Techsoft , i did SAP ABAP course. Staff of Aspire is very supportive. Its best experience to me doing SAP ABAP in that institute. Our Training Faculty is very Hardworking......its my great choice for the training. I have done SAP ABAP from Aspire.Faculty is too good...and they solve the problem.They always ready to support.They give the opportunity for the students.